Michelle beginning a community acupuncture session. Each treatment is targeted towards the individual. The Zen Den has a waiting area for patients and their friends or children. Each acupuncture treatment is individually accessed by Michelle and targets the individuals symptoms. 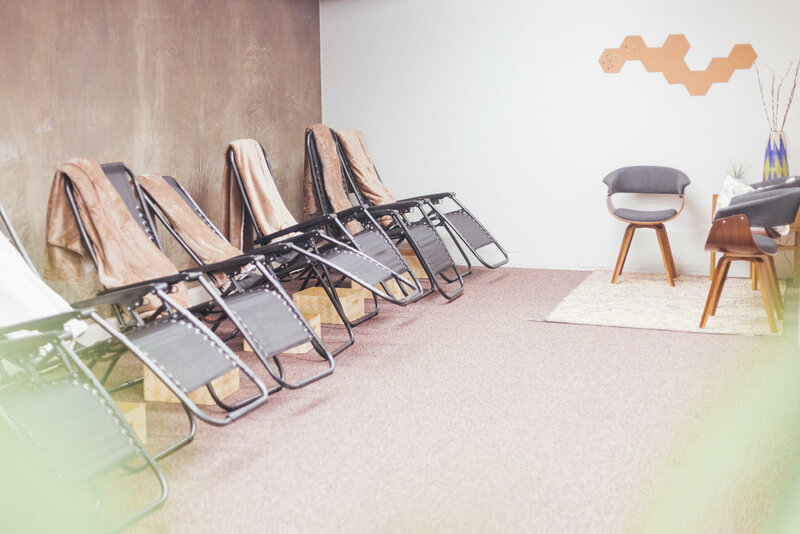 Enjoy acupuncture treatment in a communal space. Meet new people or come with people you know. 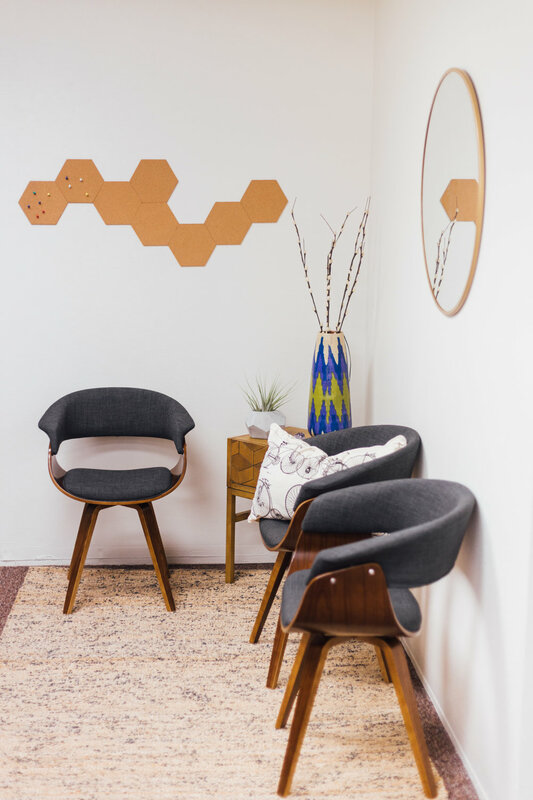 The Zen Den space amplifies the peaceful and calming feeling that comes along with being treated with acupuncture. 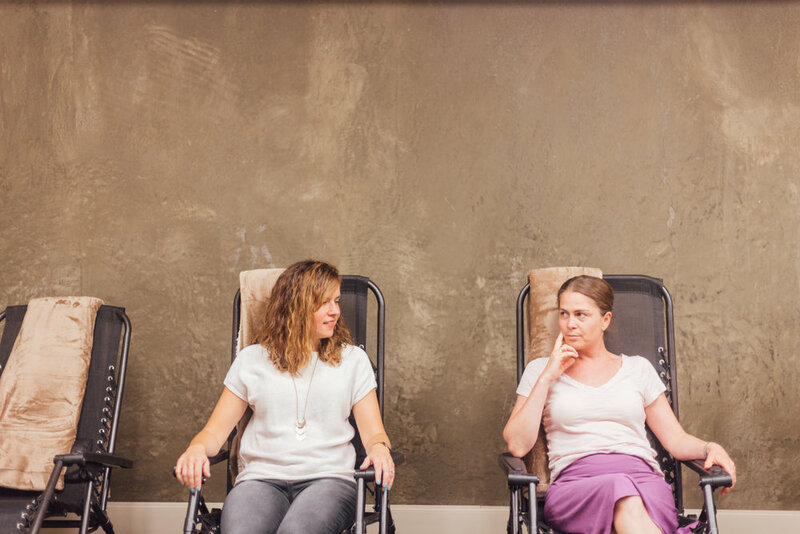 Talk with your friends and community members before and after your treatments. 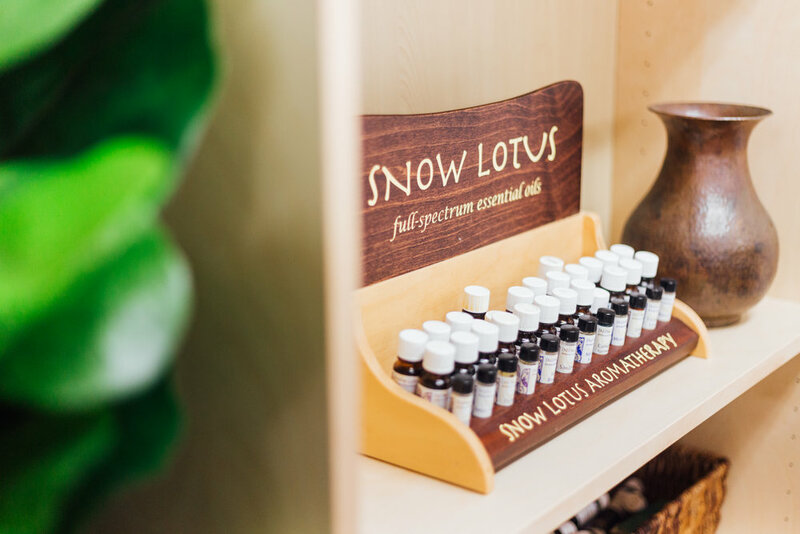 After your treatment, peruse the essential oils, Kombucha and other products that are available. Michelle excels at being personable, communicating with the client about their needs and treating them in a one on one basis. Relax in Zen Den’s full reclining chairs equipped with feet rests, baskets for your belongings and comfortable blankets. The experienced acupuncturist can adjust the needles and refine the placement to minimize pain. Michelle has years of experience in placing needles in meridians in many kinds of body types. Located right next to the San Luis Creek in the Soda Works building.